Please see LATISSE® full Product Information. Other side effects of BOTOX® Cosmetic include: discomfort or pain at the injection site; headache; and eye problems: double vision, blurred vision, drooping eyelids and eyebrows, and swelling of your eyelids. Breast implants are not lifetime devices or necessarily a one-time surgery. You may experience unacceptable dimpling, puckering, wrinkling, or other cosmetic changes of the breast, which may be permanent. Breast implants may affect your ability to produce milk for breastfeeding. Silicone-filled implants may rupture without symptoms. You should have MRI examinations 3 years after surgery and then every 2 years thereafter in order to detect ruptures. Symptoms of a ruptured implant may be hard knots or lumps surrounding the implant or in the armpit, change or loss of size or shape of the breast or implant, pain, tingling, swelling, numbness, burning or hardening. Talk to your doctor about removing ruptured implants. Inform any other doctor if you have implants. Caution: Notify your doctor if you have any of the following conditions, as the risks of breast implant surgery may be higher: autoimmune diseases, a weakened immune system, planned radiation therapy to the breast or planned chemotherapy following breast implant placement, conditions/medications that interfere with wound healing and blood clotting, reduced blood supply to breast tissue or a clinical diagnosis of depression, other mental health disorders, body dysmorphic disorder or eating disorders. These disorders should be resolved or stabilized prior to surgery. Real women, just like you, want to know more about LATISSE®. So we've asked doctors from around the country experienced with LATISSE® to answer the most common questions they receive about the product. Take a look at what they have to say, and if you want to know more, see the Frequently Asked Questions below. Dr. Steve Yoelin, Ophthalmologist: For the majority of my patients, LATISSE® has worked well to grow their lashes, which mirrors what we saw in the LATISSE® clinical study. The lashes grow gradually over time with some people beginning to see longer lashes in about four weeks, with full growth at 16 weeks. I participated as a clinical investigator in the LATISSE® clinical study, which was conducted at 16 sites across the country and included 278 people. Throughout the course of the 16-week treatment period, each participant was photographed and evaluated at 4-week intervals (week 0 to week 16) for differences in their overall lash prominence, including length, thickness and darkness. At the end of the 16-week treatment period, the results showed that LATISSE® was effective for 78% (107/137) of those participating vs. 18% (26/141) for those in the vehicle group (the vehicle was the same solution as LATISSE®, but without the active ingredient). How does LATISSE® solution work? Dr. Jeanine Downie, Dermatologist: We do not know exactly how LATISSE® works; however, we believe it does so by increasing the growth cycle (anagen) phase of your eyelash hair cycle. Anagen is the growth phase of all hair. We believe that it increases the length of the anagen phase and the number of hairs in this growth phase. How was LATISSE® solution discovered? Dr. Steve Yoelin, Ophthalmologist: It's a story of how one great product led to another. In 2001, Allergan developed another product, a medicated eye drop used to treat elevated intraocular pressure (IOP). Many patients using this medication also began to grow longer, fuller and darker lashes as a side effect. This led Allergan to study the medication's active ingredient, bimatoprost, specifically for growing lashes. After a clinical trial to study the safety and effectiveness for lash growth, LATISSE® was approved by the FDA in December of 2008. Dr. Jeanine Downie, Dermatologist: My patients ask me this all the time. LATISSE® is the first FDA-approved product to grow lashes longer, fuller and darker for those who do not have enough lashes. It has been studied for safety and efficacy and is available only by prescription. Why do I have to get a prescription and see a doctor to use LATISSE®? Dr. Amir Moradi, Plastic Surgeon: LATISSE® is a prescription medication to grow the eyelashes longer, fuller and darker, indicated for people with inadequate or not enough lashes. LATISSE® needs to be prescribed by a doctor to assure the proper treatment and use. Dr. Charles Boyd, Plastic Surgeon: Eyelash hypotrichosis is the medical name for having inadequate or not enough lashes. Eyelash hypotrichosis is defined as having lower than average length, thickness and/or number of eyelashes. Dr. Amir Moradi, Plastic Surgeon: LATISSE® is a treatment you apply yourself each evening to the base of the upper eyelashes. Each LATISSE® kit contains detailed instructions for proper application. You can also watch a video demonstration in the How-to-Apply section of this website. I tell my patients to remove any makeup, clean the upper eyelids and remove their contact lenses, if applicable. Contact lenses can be placed back in the eye after 15 minutes following the application of LATISSE®. Then, using the single-use applicator brush provided in the package, one drop of LATISSE® is placed on the applicator brush and applied to the base of the upper eyelid lash margin (DO NOT APPLY in your eye or the lower lash line as excess hair growth outside the treatment area may occur). The same process is repeated using a fresh applicator brush to avoid cross contamination. Be careful not to allow the tip of the bottle or applicator to contact surrounding structures, fingers or any other unintended surface in order to avoid contamination by common bacteria known to cause infections. After applying, any excess fluid should be blotted off with a tissue. For best results, LATISSE® needs to be used once a day for 16 weeks. Using LATISSE® more than once a day will not grow your lashes faster or improve the effectiveness of the product. Dr. Wendy Lee, Oculoplastic Surgeon: The most common side effects after using LATISSE® solution are an itching sensation in the eyes and/or eye redness. This was reported in approximately 4% of patients in the clinical study. LATISSE® solution may cause other less common side effects, which typically occur on the skin close to where LATISSE® is applied, or in the eyes. These include skin darkening, eye irritation, dryness of the eyes and redness of the eyelids. If LATISSE® patients develop a new ocular condition (e.g., trauma or infection), experience a sudden decrease in visual acuity, have ocular surgery or develop any ocular reactions, particularly conjunctivitis and eyelid reactions, they should immediately seek their physician's advice concerning the continued use of LATISSE® solution. In my practice, most of my patients tolerate LATISSE® well. The adverse events I have seen in some of my patients, such as itchy eyes and eye redness, are consistent with those most commonly reported in the LATISSE® clinical trial. I also conducted my own clinical study at the Bascom Palmer Eye Institute. Adverse events reported in my study were the same as those seen in the Allergan clinical trials. Can LATISSE® change my eye color? Dr. Marguerite McDonald, Ophthalmologist: This is one of the most common questions I get asked. LATISSE® use may cause increased brown iris pigmentation of the colored part of the eye which is likely to be permanent. While very infrequent, increased iris pigmentation has occurred when LATISSE® solution was administered. Do not apply LATISSE® in your eye or to the lower lid. Ask your doctor for complete application instructions. Can LATISSE® solution darken my eyelids? Dr. Joel Cohen, Dermatologist: While this is a common concern, eyelid skin darkening is actually a less common side effect. In a study for FDA approval, localized skin darkening only occurred in approximately 2.9% of patients using LATISSE®. It’s caused by an increase in melanin close to where the solutiuon is applied and is expected to reverse several weeks to months after discontinuing use of the product. Can LATISSE® harm my eyes? Dr. Marguerite McDonald, Ophthalmologist: LATISSE® is an ophthalmic solution. If any solution gets into the eye, it is not expected to cause harm. You do not need to rinse your eyes. LATISSE® is not an eye drop. DO NOT APPLY in your eye or to the lower lid. come with LATISSE® solution. Is that OK? Dr. Deborah Sherman, Oculoplastic Surgeon: No. LATISSE® is packaged with sterile applicators. Dr. Steve Yoelin, Ophthalmologist: If you are interested in trying LATISSE®, there is no reason to wait to talk to your doctor. After clinical studies conducted by a team of 16 experienced doctors from all over the country, LATISSE® received approval from the FDA in December 2008 as the first prescription treatment to grow lashes longer, fuller and darker. And since then, approximately 8.7 million kits of LATISSE® have been sold. I participated in the LATISSE® clinical study and have prescribed LATISSE® frequently for my patients with inadequate lashes who want to grow their lashes. Similar to the 16-week clinical study results, LATISSE® has worked well in growing lashes longer, fuller and darker for the majority of my patients. Dr. Deborah Sherman, Oculoplastic Surgeon: I tell my patients that they need to be patient when using LATISSE® as the growth is gradual over time. Some may start to notice longer lashes after about a month and many should experience full results in approximately four months. This is similar to the clinical trial results, but individual results may vary. Just like it takes some time for LATISSE® to work, if use of LATISSE® is discontinued, eyelashes will return to their previous appearance over the course of several weeks to months. What should I do if I experience eye redness or itching? Dr. Joel Cohen, Dermatologist: Eye redness and itching sometimes occur with the use of LATISSE®. I was an investigator in the LATISSE® clinical trial for FDA approval, and eye redness and irritation occurred in approximately 4% of patients. If the redness or itching persists (or if you notice other symptoms), you should consult your doctor. If you develop a new ocular condition (e.g., trauma or infection), experience a sudden decrease in visual acuity, have ocular surgery, or develop any ocular reactions, particularly conjunctivitis and eyelid reactions, you should immediately seek your physician’s advice concerning the continued use of LATISSE® solution. base of the upper eyelashes? Dr. Fiona Wright, Cosmetic Physician: LATISSE® was only studied with patients who applied it to the upper lashes, so DO NOT APPLY in your eye or to the lower lid. It's important to apply the product appropriately, as there is the potential for hair growth to occur in areas where LATISSE® solution comes in repeated contact with the skin surface. I tell my patients to use the sterile applicator brushes that come with LATISSE®, and to apply the product carefully, and blot any excess solution to avoid having the solution run on the cheek or other skin areas. Do I really have to use LATISSE® daily? Dr. Deborah Sherman, Oculoplastic Surgeon: Yes, LATISSE® should be applied daily to the base of the upper eyelashes. To achieve the full effect of longer, fuller and darker lashes, you should use the product daily for 16 weeks. What happens if I stop using LATISSE® solution? Dr. Joel Cohen, Dermatologist: Just like it takes some time for LATISSE® to work to grow lashes, if you stop using the product, your eyelashes will gradually return to their previous appearance over the course of several weeks to months. What if I forget to apply one night? Or a few nights? Dr. Charles Boyd, Plastic Surgeon: If you miss an application or a few, don't try to catch up. You don't want to double up on your treatments. Just apply the LATISSE® treatment the next evening and restart your schedule. Is LATISSE® a replacement for mascara? Dr. Fiona Wright, Cosmetic Physician: LATISSE® does not work in place of mascara, but rather is a treatment to grow lashes for those with inadequate or not enough lashes and requires a prescription from a doctor. Many of my LATISSE® patients still use mascara. Can I use LATISSE® solution if I wear contacts? Dr. Marguerite McDonald, Ophthalmologist: Yes, but you should take them out before applying LATISSE®. Just remove your contact lenses and then wait for 15 minutes after applying LATISSE® before putting your contacts back in. Can men use LATISSE® solution? Dr. Amir Moradi, Plastic Surgeon: Both men and women can use LATISSE® to increase the length, thickness and darkness of the eyelashes if a doctor determines they are appropriate candidates for treatment. I actually have several male patients who use LATISSE® to grow their lashes and are happy with their lash results. Is there anyone who should not use LATISSE®? Dr. Wendy Lee, Oculoplastic Surgeon: LATISSE® is not appropriate for people who are allergic to bimatoprost or any other ingredient in the product. If you are under care for glaucoma, notify your ophthalmologist that you are using LATISSE®. As noted in the LATISSE® product label, people using medications for the treatment of any eye pressure problems should only use LATISSE® under close doctor care. Also, anyone with known or suspected active eye disease, or anyone who is at risk for eye disorders, should check with an eye doctor before using LATISSE®. How much does LATISSE® solution cost? Dr. Fiona Wright, Cosmetic Physician: One LATISSE® kit costs approximately $120. It includes one bottle and 30 pairs of applicators. The price may vary slightly by pharmacy and, in some states, you can purchase LATISSE® directly from your doctor's office. For more ways to save, join the Brilliant Distinctions® Program to get updates on special discounts and promotions. Also, ask your doctor whether he or she offers any additional discounts or knows of any local events that may offer discounts. Want to know more? Here are the answers to some other common questions. QUESTION: What are the ingredients in LATISSE® solution? Inactive ingredient: benzalkonium chloride; sodium chloride; sodium phosphate, dibasic; citric acid; and purified water. Sodium hydroxide and/or hydrochloric acid may be added to adjust pH. The pH during its shelf life ranges from 6.8 – 7.8. QUESTION: Which type of doctor prescribes LATISSE® solution? ANSWER: Many different types of doctors can prescribe LATISSE®, including dermatologists, plastic surgeons, ophthalmologists, OB/GYNs and primary care doctors. However, not all doctors may be familiar with it. To find one who is, use the Find-A-Doctor tool. QUESTION: If I apply more LATISSE®, will I get faster results? ANSWER: No. LATISSE® works gradually over the 16-week treatment period. 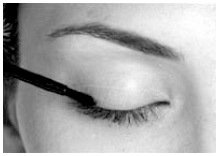 Use of LATISSE® more than once a day will not increase the growth of eyelashes. Please follow the directions, as instructed by your doctor. QUESTION: How do I maintain my results? ANSWER: To achieve the full effect of LATISSE®, you will need to use the product daily for 16 weeks. After that point, you can talk to your doctor about ongoing use. QUESTION: Are the lashes in the Before & After LATISSE® photos retouched? ANSWER: The results you see posted in all of our Before & After Galleries are real photographs of actual LATISSE® users without mascara.Their lashes have not been retouched or altered in any way. QUESTION: Are there any special warnings associated with LATISSE® use? ANSWER: LATISSE® solution is intended for use on the skin of the upper eyelid margins at the base of the eyelashes. Refer to the illustration below. DO NOT APPLY to the lower eyelid. If you are using other products in the same class for elevated intraocular pressure (IOP), or if you have a history of abnormal IOP, you should only use LATISSE® under the close supervision of your physician. LATISSE® use may cause darkening of the eyelid skin which may be reversible. LATISSE® use may also cause increased brown pigmentation of the colored part of the eye which is likely to be permanent. While very infrequent, increased iris pigmentation has occurred when LATISSE® was administered. It is possible for hair growth to occur in other areas of your skin that LATISSE® frequently touches. Any excess solution outside the upper eyelid margin should be blotted with a tissue or other absorbent material to reduce the chance of this from happening. It is also possible for a difference in eyelash length, thickness, fullness, pigmentation (darkness), number of eyelash hairs, and/or direction of eyelash growth to occur between eyes (e.g., results may vary for each eye). These differences, should they occur, will usually go away if you stop using LATISSE®. QUESTION: What should I do if I get LATISSE® solution into my eye? ANSWER: LATISSE® solution is an ophthalmic drug product. If any gets into the eye, it is not expected to cause harm. The eye does not need to be rinsed. QUESTION: What is elevated intraocular pressure (IOP)? ANSWER: This is a condition where the pressure inside the eye is higher than normal. LATISSE® may decrease IOP. So talk to your doctor if you are using IOP-lowering medications. Concurrent administration of LATISSE® and certain IOP-lowering medications in ocular hypertensive patients should be closely monitored for changes in intraocular pressure. ANSWER: Allergan is a leader in the pharmaceutical industry, with over 60 years of eye care expertise. All women featured on this website are paid spokeswomen and are using LATISSE®. © 2017 Allergan. All rights reserved. All trademarks are the property of their respective owners. Fill out the fields below and we’ll take care of the rest.